Join us as we celebrate the HDS Bicentennial with a special reception and lecture featuring speaker Charles Hallisey, Yehan Numata Senior Lecturer on Buddhist Literatures at Harvard Divinity School. Optional dinner to follow. Harvard Divinity School was founded in 1816 and is sending faculty members who will be holding “celebrations” in many cities around the US. 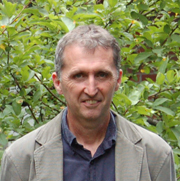 We are fortunate to welcome Professor Charles Hallisey, Yehan Numata Senior Lecturer on Buddhist Literatures, whose talk will be entitled "What is Buddhism When it is Practiced by Non-Buddhists?" Parking: Parking structure 2 is convenient for parking.